Home > Another brick in the wall: is hexane neuropathy a 'nodo-paranodopathy'? 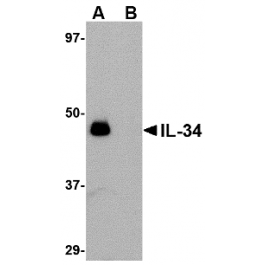 > Anti- > Interleukin-34 IL34 (N-term) antibody Isotype IgG Host rabbit details. Storage Store the antibody at 2 - 8°C.